They may not have had to endure the glare of the judges on Dragons' Den, but our collection of footballing entrepreneurs nonetheless proved their business acumen off the field to invest in, or form, flourishing companies. From hygiene to fashion, sausages to advertising, many famous players and directors who have graced the Bundesliga have tried their hand at the world of commerce, with several enjoying plenty of success along the way. Take the recently retired Philipp Lahm, for example. The former Bayern Munich and Germany great will no doubt have had to tolerate the inevitable nostril-flaring scent of the post-match dressing room many a time during his successful playing days. It was perhaps not for that reason that the medal-laden ex-full-back and midfielder decided to become a shareholder in Sixtus, the cosmetics manufacturer that specialises in products aimed at athletes. It was more likely the Bavarian company's balms, lotions and oils that proved the selling point. Shower gel and balsams are one thing, apps are quite another. 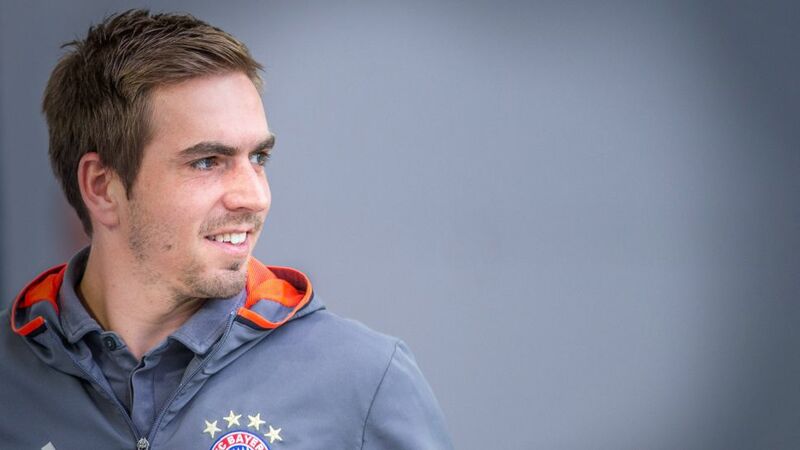 Yet that didn't stop Lahm also dipping his talented toes into the world of social media and becoming involved in a network called Fanmiles. The project aims to reward fans for their loyalty to various celebrities. The idea of players probing the business world for opportunities is, of course, nothing new. The one-time Borussia Mönchengladbach and Real Madrid attacking midfielder, Günter Netzer, once ran a disco-bar called ‘Lovers Lane’ in his native city. "Strangely enough, my best [playing] form came when I had that disco-bar," Netzer recalled. The former West Germany star also acknowledged that his coach at Gladbach, "almost fainted" on hearing of the venture. Goalkeepers have always had to palm away assumptions relating to a lack of sanity, but Oliver Kahn and Robert 'Bobby' Dekeyser proved their level-headedness once their respective playing careers came to an end. Former Bayern king Kahn now trains goalkeepers online via the start-up, 'Goalplay,' while Dekeyser used time spent nursing a facial injury to conjure up the company Dedon. The Belgian-born entrepreneur – once on the books at Bayern, Nuremberg, Genk and 1860 Munich – manufactures outdoor furniture and also runs a hotel in the Philippines. NoFuchsGiven is the amusingly-titled fashion label created by current Leicester City full-back Christian Fuchs. The former Austrian international, Mainz and Schalke defender creates t-shirts and caps for a variety of tastes. A far cry from Werder Bremen and Borussia Dortmund Bundesliga winner Karl-Heinz Riedle, who owns a children's football camp and hotel in Oberstaufen. Part of the Germany side that triumphed at the 1990 FIFA World Cup and later a Champions League winner at BVB, Riedle also owns a sports and events agency. As one of very few players to have lined out for Dortmund and Schalke, Christoph Metzelder helped to create the Jung von Matt sports agency while Gladbach, Bayern and HSV defender Marcel Jansen came up with GymJunky, which markets nutrition and sportswear. New Mainz signing Nigel De Jong runs Continental Cars, a Hamburg-based dealership that trades in high-end automobiles and counts on fellow footballers among its clients. "Some people say footballers are thick and not bright enough to be entrepreneurs," De Jong once said. "But when I see that a company has potential, I move the borders and go all the way for it." Former Cologne favourite Lukas Podolski recently returned to the city to open his own kebab shop while on the subject of food, the firm of Howe Wurstwaren would not exist without current Bayern president and 1974 world champion Uli Hoeneß and his business partner. The successful sausage factory produces Rostbratwurst that are specific to the Nuremberg region. It's a tasty end to our tales of entrepreneurial ingenuity that proves it doesn't have to be all about the game for those involved in high-level football.